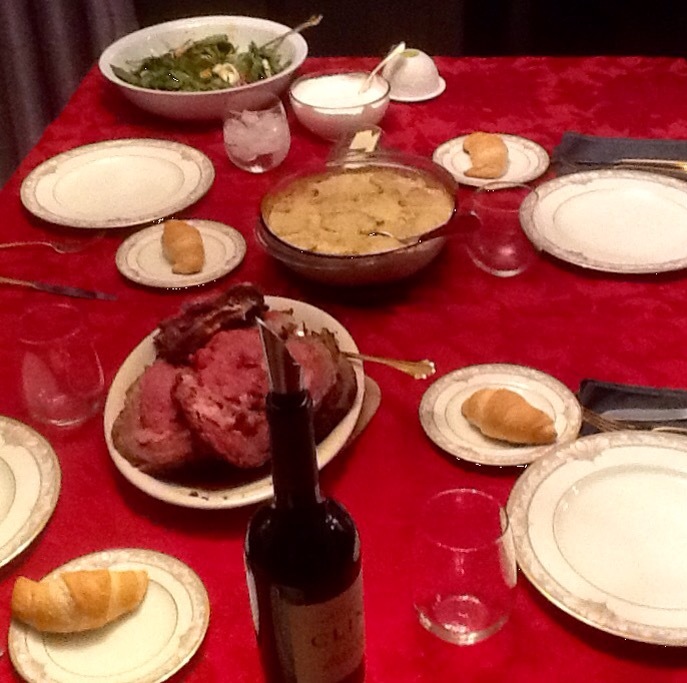 Christmas dinner includes some old favorites and a new winner, creamed rosemary potatoes. 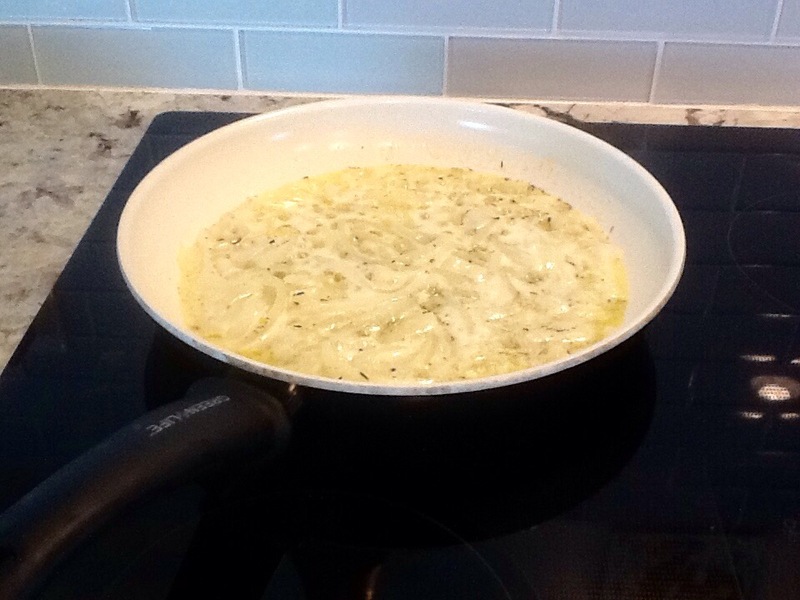 Begin by sweating 2 cloves of sliced garlic and a medium sweet onion in 1 stick butter. Add some snipped rosemary leaves, (a couple sprigs will do) and some herbs d’provence, salt and pepper. 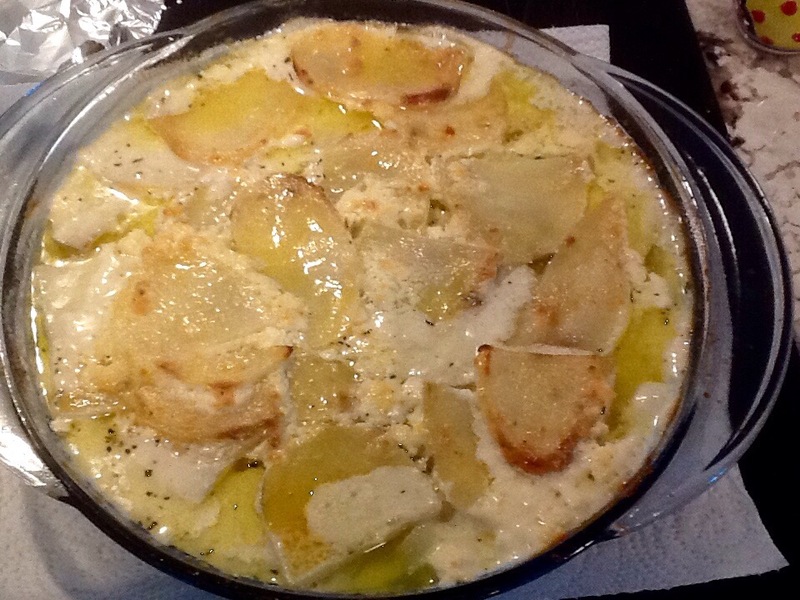 Next, combine 12 oz softened cream cheese and some light cream (about 1 1/4 cups) with an immersion blender, Layer 2lbs sliced potatoes with onions and garlic, then pour cream mixture over all. 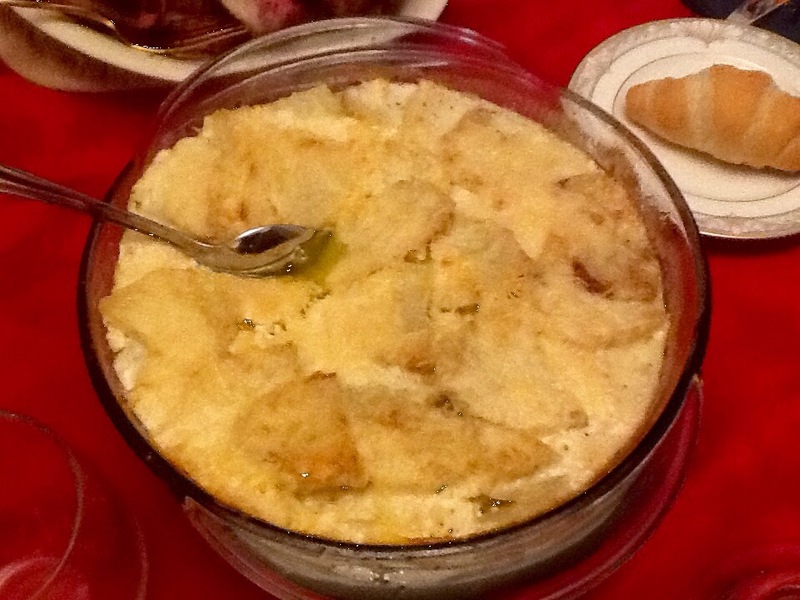 Top with finely grated parmesan cheese. Bake at 350 degrees for about 55 minutes or until golden and bubbly. Side two is a spinach salad with warm bacon dressing. 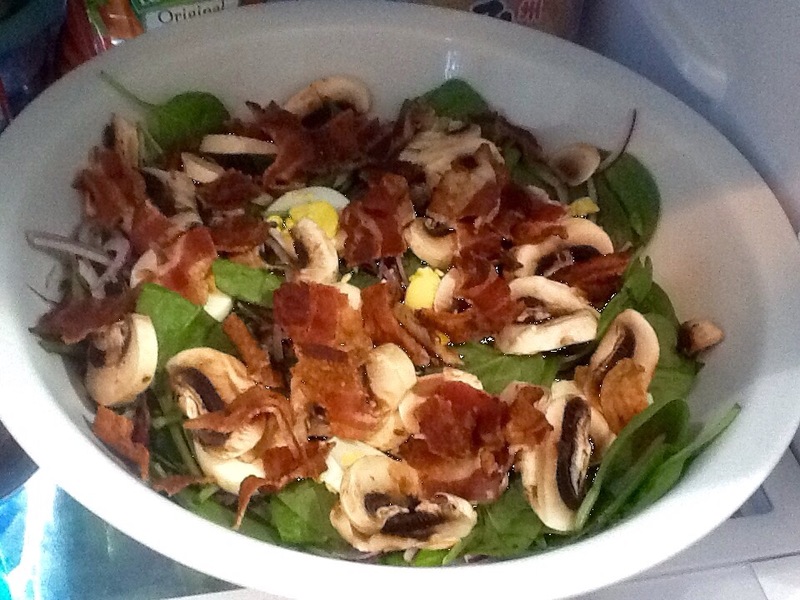 We like ours to have hard boiled eggs, bacon bits, and mushrooms. Mmmm! 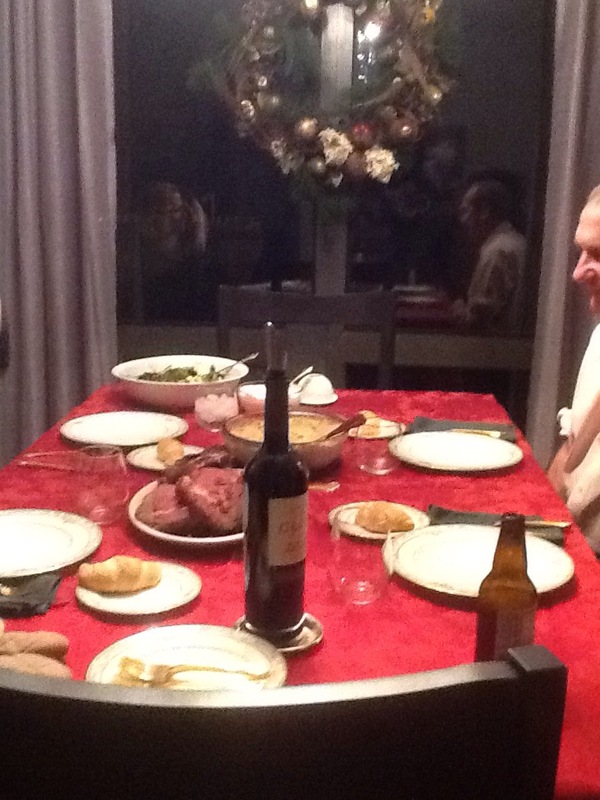 The star of the table, though is always the roast beast. 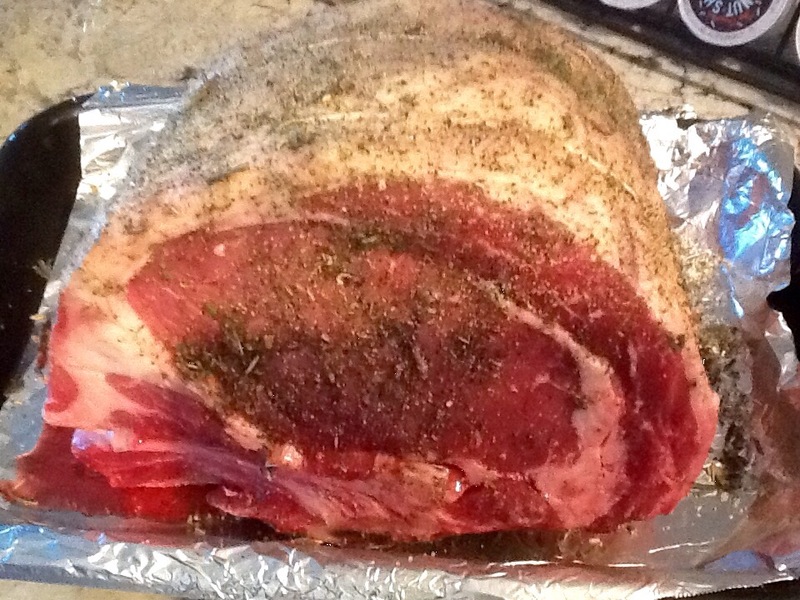 In this case a prime rib roast, bone-in, slow cooked on our ceramic grill/cooker. I like to leave my rub on overnight. The finished product is slightly smoky and tender. 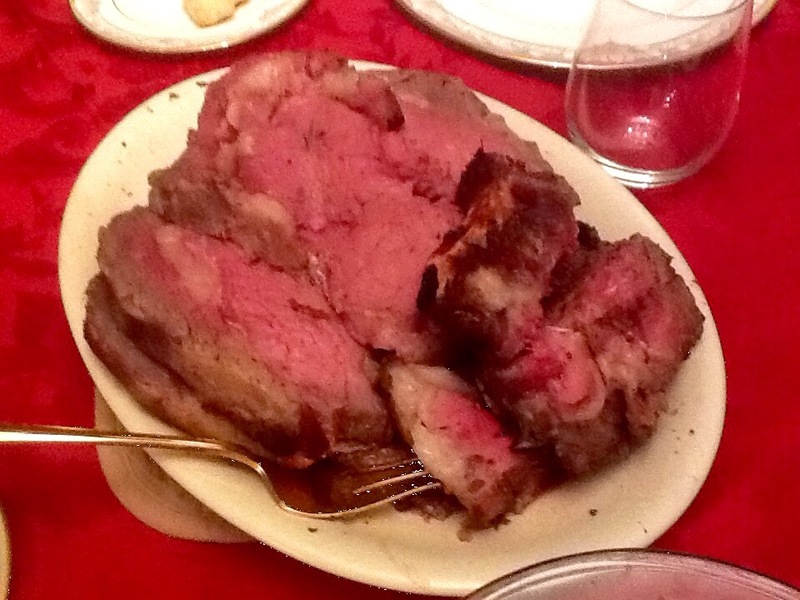 Accompany with a horseradish sauce, a great cab and of course your loved ones. Previous Previous post: ‘Twas the day before Christmas…. Next Next post: The most wonderful wings in the world!